We know that Bungie has another sizable update coming to Destiny sometime this month, bringing with it an updated weapon balance. With every weapon re-balance, that means that the PvP meta shifts – the last time was with the launch of The Taken King, pushing pulse rifles to the forefront. And when the meta shifts, the PvP community rushes around trying to find the new weapons that give them a leg up on the competition. 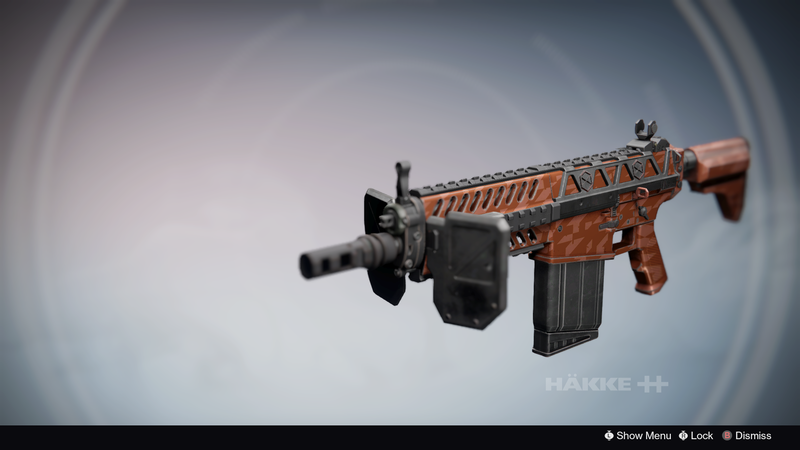 As the meta stands right now, the current world revolves around guns like Hawksaw, Bad Juju and Red Death for primaries. Pulse Rifles in general are strong across the board – even with the shift toward needing headshots. Because fast firing pulses are basically the best auto rifles in the game now, the reduction of base damage and needing more headshots doesn’t really matter. Secondaries have revolved around the 1000 Yard Stare sniper, and Conspiracy Theory/Party Crasher +1 shotguns. I don’t really see a whole changing here – except hopefully the way people use shotguns. What Bungie was trying to do with the 2.0 patch, I think, worked for the most part. There really isn’t a single weapon that you absolutely need to use to have a hope of breaking even. The days of Thorn/Last Word ended, and really up until the last few weeks, there was actual variety in loadouts. More variety means that the game feels fresh, even with the same maps and game modes. And to that effect I hope with this 2.1 patch they continue that idea – keep tweaking the base archetypes for the weapons, and that will get the game actually where it needs to be. Once the archetypes are settled, that’s when the Exotic weapons can really be looked at. Obviously, when there are standouts like Thorn, they need to be addressed. But I would really rather see Bungie get the base lines set finally before really fine tuning every little gun out there. I think that we’re actually pretty close to that point now, and based on the early patch notes I think we could be even closer after 2.1 drops. What I think we’ll see moving forward is that those high rate of fire pulse rifles will drop back to the pack a little, and I think hand cannons and auto rifles will no longer be a liability. The biggest change I think will be with the shotguns. There’s another range hit coming – which they still need – but what could really impact their use is the movement and handling speed nerfs. To me, those are the things that really should have been part of 2.0. If they work properly, the ability to just warrior through gunfire, slide and shoot from ages away should be reduced severely. I think it’ll also help fight the blink-shotgun combo that’s plagued the game pretty much since launch. I think we’ll always see shotguns in the game – they’re just too good at dropping targets instantly. But the way that we use them will have to be adjusted a little bit. I would expect a more defensive and, hopefully, tactical use of them. We kinda see that with snipers – you can’t use exclusively a sniper, because it limits your options – shotguns need to be in that same spot. What really will be important in the new meta is the exotic weapon choices. I still think that Bad Juju and Red Death will be good, but I actually expect to see the rise of a couple other weapons. Suros Regime could very well return to its old spot on top of the mountain. It’s far and away the best auto rifle – stable, good range, and able to get your health back while taking down enemies. I really think that, depending on just how effective the patch is, Suros will be all over the place. Since we’re also getting some returning Year-One guns, I would try to get hold of a MIDA Multi-Tool. It’s, I think, the most versatile scout rifle out there. It fires super fast, does strong damage, and since it boosts your agility AND keeps your radar on-screen all times, it keeps you alive. Hand cannon wise, I still think you’ll see the usual suspects – Hawkmoon and Last Word. Before I wrap up, I want to offer up a potential surprise exotic choice: Hard Light. It’s never been a particularly exciting weapon – skip rounds as an exotic perk is pretty lame. Add in that it’s a bullet-hose style auto rifle and you get a weapon that can’t stagger enemies in PvE, and takes way too long to kill in PvP. But the 2.0 patch gave it it’s first truly exotic feeling update – it no longer has damage dropoff on its bullets. Since range now actually matters way more than it did before – especially in PvP – that’s a pretty huge deal. If you can control the recoil, you very well could see this thing doing some decent work at slightly longer ranges than most auto rifles could hope for. Since it’s one of those Year One weapons returning, I could easily see this one being a sleeper choice. I wrote a couple weeks back ago about my thoughts on some of the new Year Two Exotics in Destiny: The Taken King. Well since that post I’ve gotten a few new weapons, and the community has datamined some info on armor pieces. So I want to talk about those weapons, and a little about the armor. With the weapons, it’s more that I want to talk about how they actually behave. On the armor front, I’m a little more interested in talking about if’s – in particular, how Bungie could take some Year One armor pieces and move them forward. In the weeks since my last Exotic post, I’ve gotten my hands on The First Curse, The Chaperon, Telesto, Ace of Spades, Tlaloc, and Sleeper Simulant. I’m four Calcified Fragments away from Touch of Malice, and one Light 300 Darkblade Strike away from my Bolt-Caster. 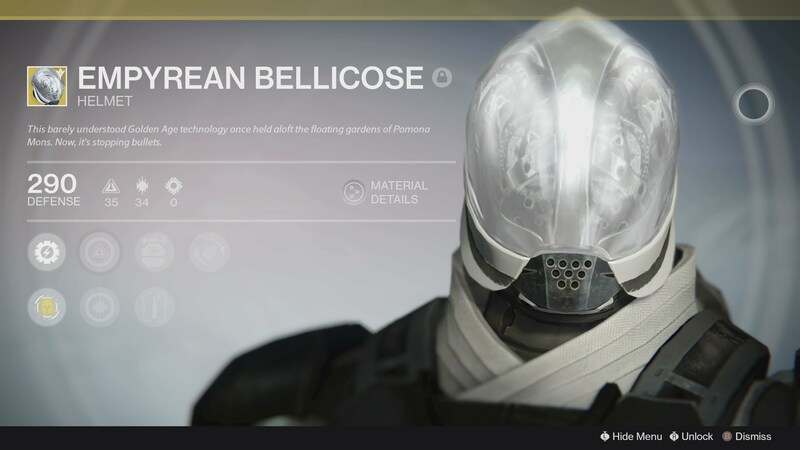 So we’ll start with The First Curse – my most recent exotic. Maybe it’s just because of how simple this thing is to obtain, but to me, this is another Exotic that doesn’t quite feel it. It’s a solid gun – it’s got a little more range than most Hand Cannons through it’s unique perk, but it’s just a little boring. It’s definitely not a PvP weapon – it’s a three crit kill, which is horrendous in compared with a slew of other weapons. It’s got a great look to it, playing off of The Last Word, and it sounds awesome too, but again, it’s just kinda “meh.” Since my last post, I’ve gotten the other two Class specific weapons – Ace of Spades and Tlaloc. Ace of Spades is a solid all around Hand Cannon. It’s got Firefly on it – which is always great – and also has a really cool exotic perk in the Maverick. With that perk, you pull ammo out of your reserves after every critical kill. You’ll keep shooting, but you will burn ammo fast. Tlaloc on the other hand is the tale of two guns. While you don’t have a super built up, it’s just a standard Omolon Scout Rifle. Once you get a super charged though, this thing turns into a beast. Every stat gets cranked up and in doing so, this gun becomes a phenomenal all around gun, good in every part of the game. Moving off of Primaries now, I’ve gotten the Chaperon and Telesto as my new Specials (still no Black Spindle.) Of the two, Telesto is certainly the more useful, all around, of the two. Firstly, I’m really happy that it’s a Void damage exotic weapon. There’s a real dearth of Void exotics still. One Sword, one Rocket Launcher and now Telesto. It’s a good exotic in that it feels exotic – the unique perk makes the shots from the fusion rifle delay their explosion. It’s great for single target damage and can catch some people off guard in PvP even. In truth, of the new Special Weapons, I think this is the strongest Exotic that I’ve used so far. The Chaperon is a pretty cool idea for a shotgun that I think just falls a little short of being amazing. I like that it behaves differently – it fires a single slug round instead of buckshot. That means it deals a ton of damage, consistently per shot, at a decent range. But the rate of fire and the actual performance kinda don’t live up to the gun’s potential. Sure it’ll catch people off guard in PvP – and if you have Hung Jury or Nirwen’s Mercy you don’t need to run an Exotic primary. But that’s about all I see using it for. Moving on to armor now, I quickly want to mention that I’ve only picked up one actual new piece since the last post. The Immolation Fists for the Titan are the only Sunbreaker specific Exotic so far, giving you Explosive Pyre for free. It basically frees up Flameseeker, giving you tracking explosive hammers – it’s definitely a PvE piece. What I’m more interested in are some old Year One armors that supposedly have been datamined to be moving forward. This gives Bungie a chance to take kinda crappy Year One Exotics and make them useful now. They’ve started doing that with the new No Backup Plans. Now that they trigger Force Barrier on shotgun kills, they have become a viable choice for Defenders in PvP over Saint-14. 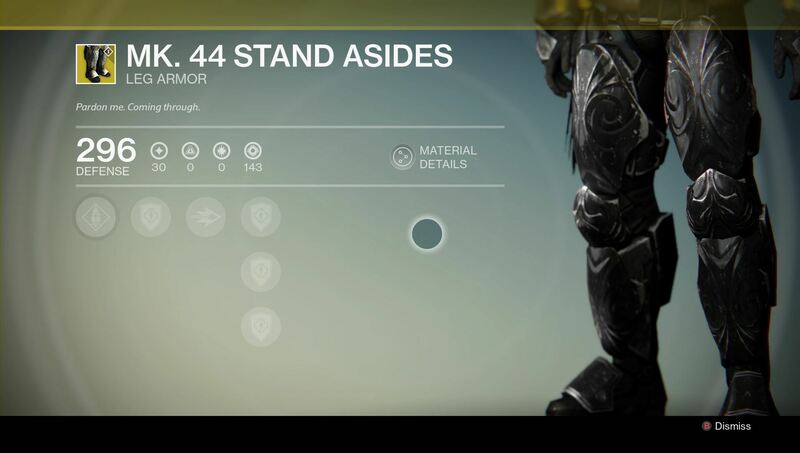 With Titans, I’m curious to see if or how they’ll change the Mk.44 Stand Asides or Eternal Warrior – cool ideas for Exotics that just aren’t worth using. Those are the kinds of pieces I think we should keep an eye on moving forward.